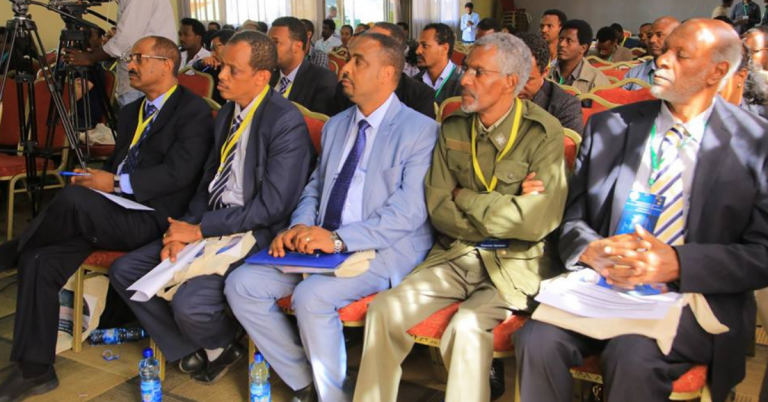 The 1st African initiative for planetary and space science (AFIPS) international workshop and Ethiopian space science research and technology development annual conference is started at Ethiopia Hotel. Shumete Gizaw (PhD) state minister ministry of innovation & technology and Solomon Belay (PhD), director general of ESSTI opens the conference. The aim of AFIPS is a better vision of economic, cultural and societal impacts of research activities in planetary and space science in Africa, a sustainable scientific and higher education strategy for developing planetary and space science in Africa, an improved strategy to attract national & international funding. Shumete in his speech such kind of international conference is essential for developing country like Ethiopia to improve science and technology. Tefera Walwa, chairperson of the Ethiopian Space Science Society (ESSS). Present paper on science and technology for Africans development; experience from Ethiopia to local and international participant. Although “African nations do not have large and well-funded planetary and space sciences programs that have international visibility”, the continent has embarked on the massive expansion of higher education and increased reform in planetary and space science programmes to address socio-economic development agendas and for striving the contemporary societal challenges.